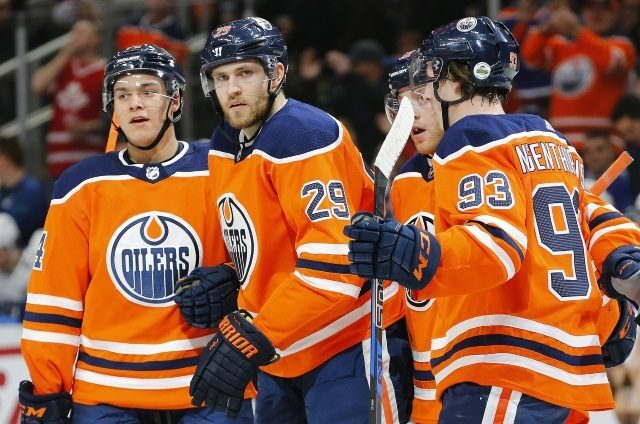 Will the Edmonton Oilers make some trade for a playoff push or move some players for a rebuild? Sportsnet: Elliotte Friedman is reporting the Edmonton Oilers checked in on Washington Capitals forward Andre Burakovsky, the Capitals are looking for a couple of mid-to-high round draft picks in a trade. The Oilers like Detroit’s Andreas Athanasiou, whose speed seems a perfect complement to Connor McDavid, but there’s no guarantee the Detroit Red Wings want to do anything and the price would be costly. Friedman also reports that the Oilers are interested in a few players from Chicago. He has not mentioned any names but something big could be in the works. Will the LA Kings trade Jake Muzzin? TSN: The LA Kings are looking to trade Jake Muzzin but the asking price is very high. Bob McKenzie is reporting the Kings are asking for a first-round pick and a top prospect. Muzzin, 29, carries a $4 million cap hit through next season. Muzzin leads in both blocked shots (85) and hits (108) while regularly contributing on both the powerplay and penalty kill for the Kings.